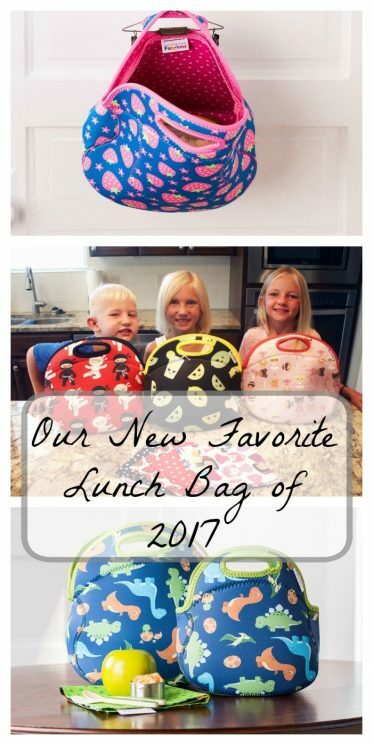 Packing school lunches can be a seamless process if you have the right tools and also some good tips.We are featuring our favorite lunch bag of 2017, because what you pack your lunch in can make all the difference! School mornings can feel super rushed because there are so many things that need to get done before you walk out the door. Waking up, making beds, making sure homework is done and in backpacks, breakfast, and then there is lunch! We have had many years of packing school lunches and have gathered some of our best tips to be successful this year. The number one thing we have done that has made lunch packing successful is to have our kids pack their own lunches. Yep………..pack.their.own. It is definitely hard to let go of things as a parent, especially when you know you could make a better food choice, or spread the peanut butter without it leaking over the edges and onto the counter. But the trade-offs are SO worth it! 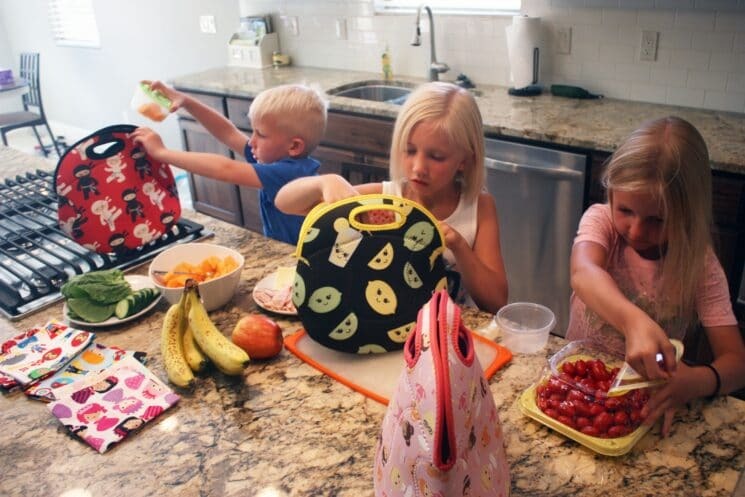 Your kids really can pack their own lunches and learn responsibility, organization and how to make a meal while doing it. Plus they are way more likely to eat what they pack than what you pack. cThis is how we have been successful in the lunch packing department. Kids generally like to be independent. If you are excited about your kids packing lunches, you can spread the excitement. Tell them they are old enough to help in the kitchen now and they get to choose what they will be eating for lunch. 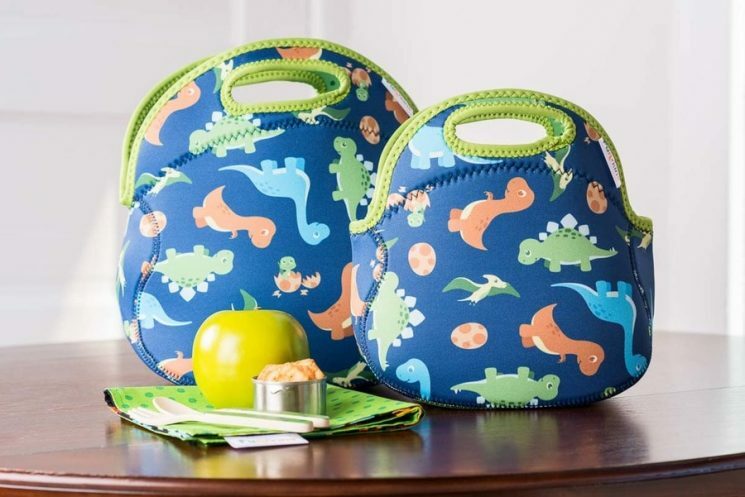 Let them be involved in picking a new lunch bag or containers to pack things in. Take them to the grocery store when you are buying lunch supplies and let them pick out some things they like. Stain, tear and water resistant means this bag can be used over and over again. 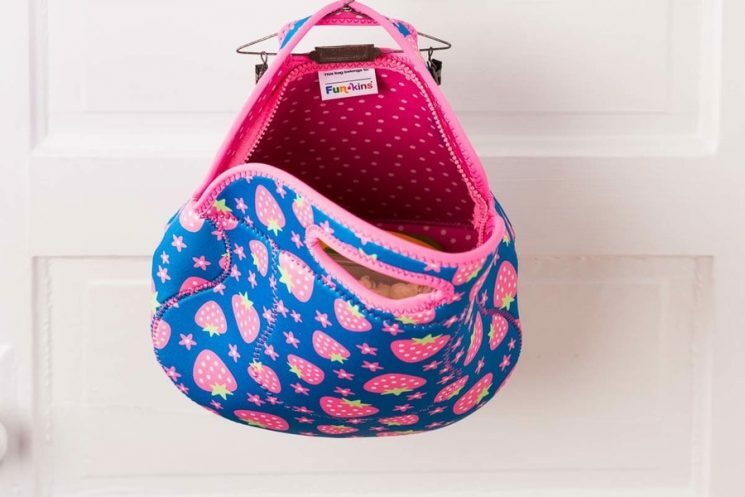 Wide top opening so its easy for kids to unpack and repack at school. Can be stored flat in a drawer, and will stand upright for easy packing. 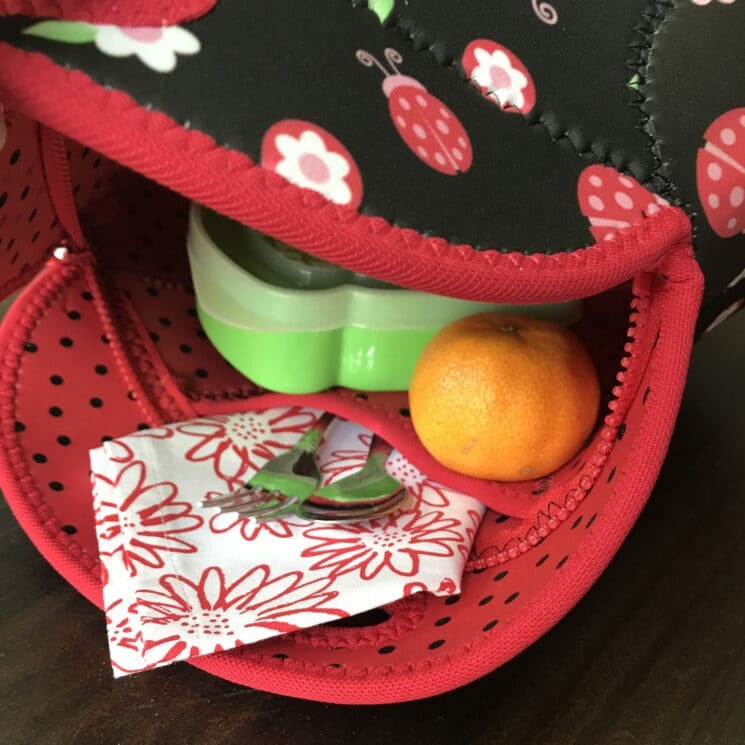 Create a lunch packing ‘station’ for your kids so they can quickly and easily access all of the things they need to pack their lunch. 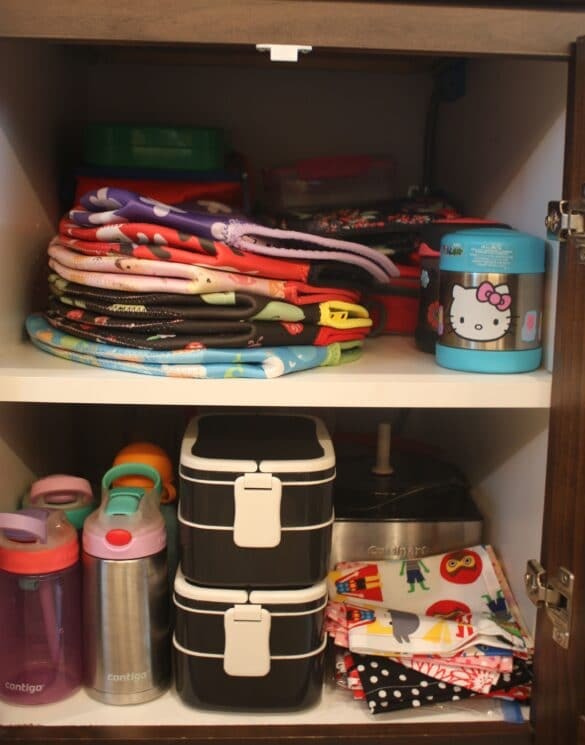 We have a station in a bottom cabinet that we keep all of our containers – lunch bags, water bottles, bento boxes, and thermos. Include a Funkins reusable cloth napkin to help keep lunchtime cleaner and greener (save on paper waste). For the food part of lunch making – plan ahead and pre-portion certain foods to make it easier for your kids to grab and pack it. Have cheese pre-sliced, veggies rinsed and chopped. Designate a drawer in the fridge and shelf in the pantry for lunch food. This will help your kids quickly find the things they need for their lunch. We strongly believe in balance and including the different food groups in every meal including lunch! This post Creating a Balanced Meal, gives short and concise info about each food group so you can teach your kids as well as examples of what foods to include for each meal. Provide a few different options for each food group for them to choose from. That way they still can make choices, but they can be guided. If you find there just isn’t time in the morning for your kids to pack their lunch, then do it the night before. 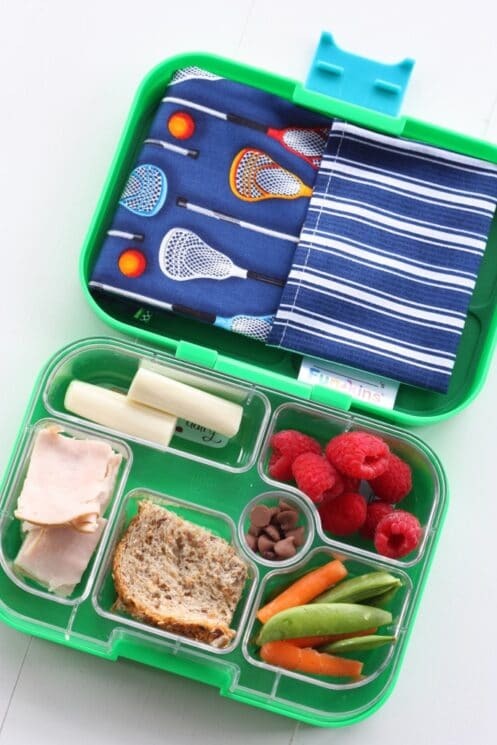 Set aside a regular time so your kids get in the habit of packing their lunch everyday. Maybe it is right after breakfast when you already have food out. Or right after dinner if they want to pack leftovers. Pretty soon it will become a habit and they are on their way to not only packing their own lunches but eating what they pack themselves! We partnered with Funkins for the content in this post. All opinions are our own.